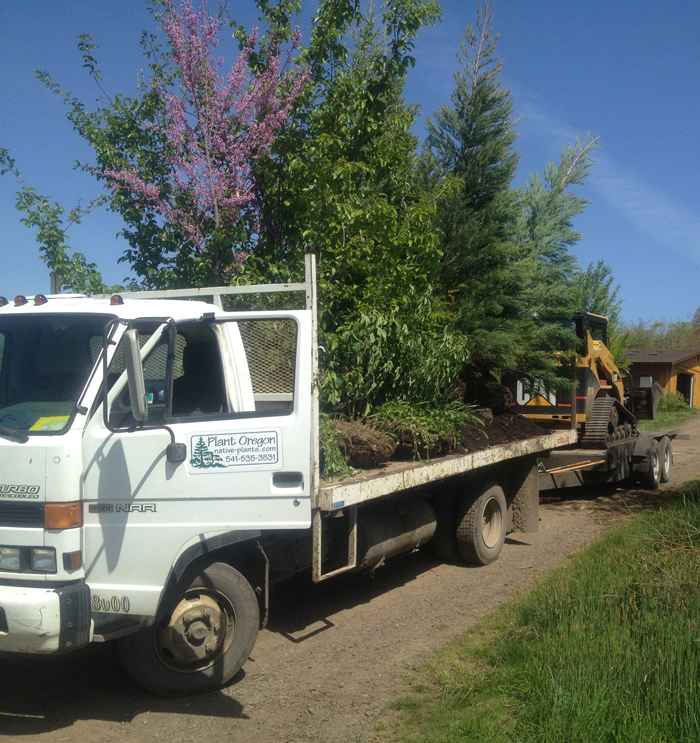 We are happy to offer local planting & delivery services for our larger trees. 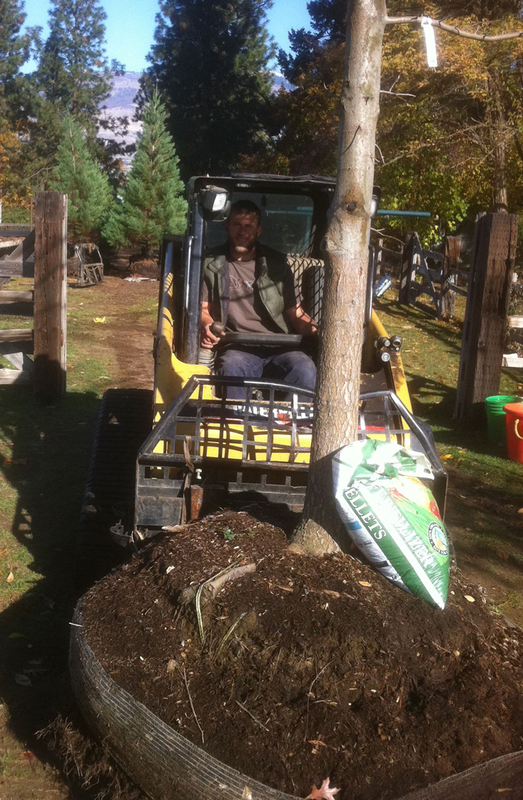 Very often, the most efficient way for the trees which you purchase from us to get planted is for us to do it. 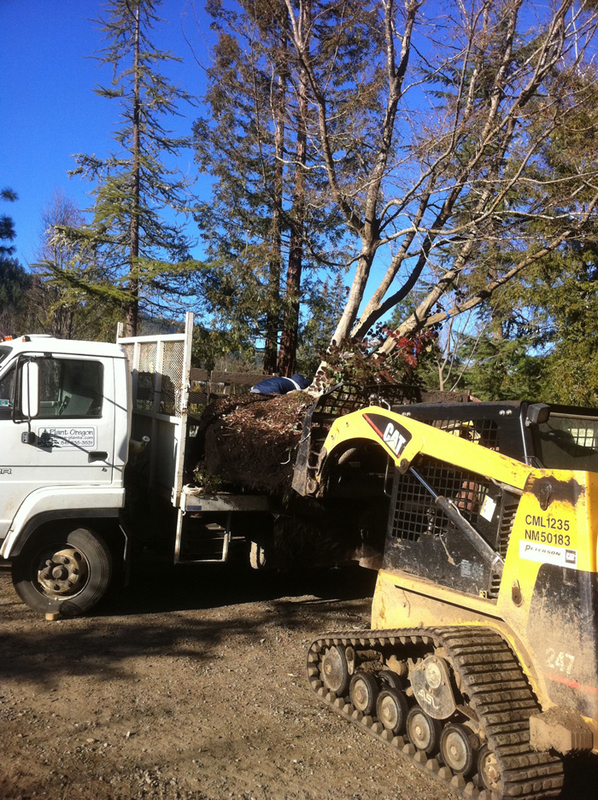 We have the equipment to handle our trees quickly and safely and get them planted in the best possible fashion. 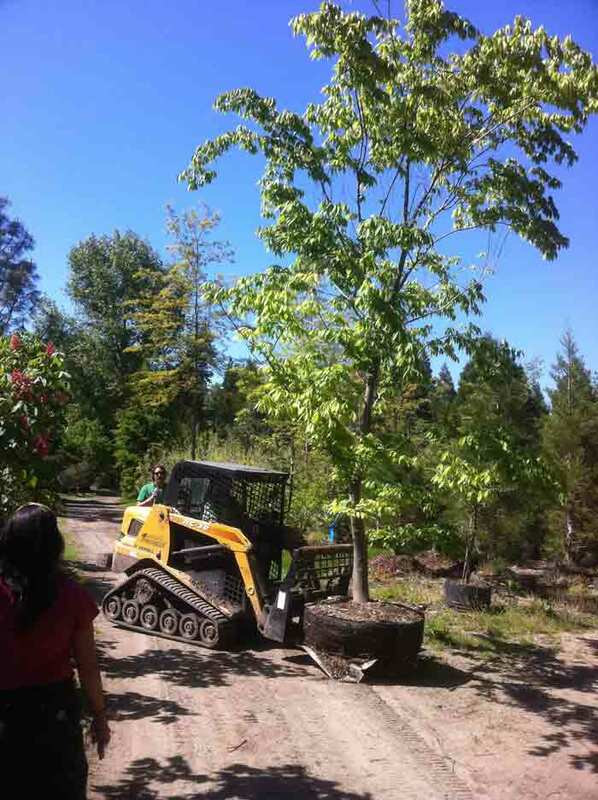 You are welcome to bring your own pickup, yard maintenance person, or your friends or family to the nursery with you to pick up your purchase, however we find that if the trees weigh over about 250 pounds, most folks need our assistance. We do it for a very reasonable price, and we just love to see where our trees are going to spend the rest of their lives and chat with the new owners about tree care. We generally deliver on Fridays. Of course there are many variables, whether you are ready for the trees, the weather, our schedule availability, and so forth. Please leave as many details regarding the planting with your sales person at the time of purchase so that the whole process is smooth. We request that you place the provided flags in the locations where the tress are to be planted. By having the locations flagged, we can drop in and plant your trees without having to co-ordinate schedules. Extra large trees may require additional handling charges. We might also add additional charges when we must drive a long distance (Applegate, Colestine, Greensprings, Eagle Point, Grants Pass) due to any additional fuel and time charges. Another thing to consider is that we need to be able to get our equipment into the site if needed- please consult with your sales person regarding the setting. It is required that the planting spots be LOCATED. This is a free service and is required before we use equipment to plant your trees. Simply get a can of white spray paint, make white circles where the trees are to be planted, write 'Locate' somewhere the utility people can see it, and make the phone call. On large projects we can do this, however, since it requires an extra trip on our part, and that burns extra fuel, we ask the tree receiving person to do this part. Thank you so much. Please feel free to contact us with any projects you are interested in. We are flexible and eager to serve you!